I've been MIA from the Round Robin blog as I've been concentrating on other writing projects but am pleased to be back. 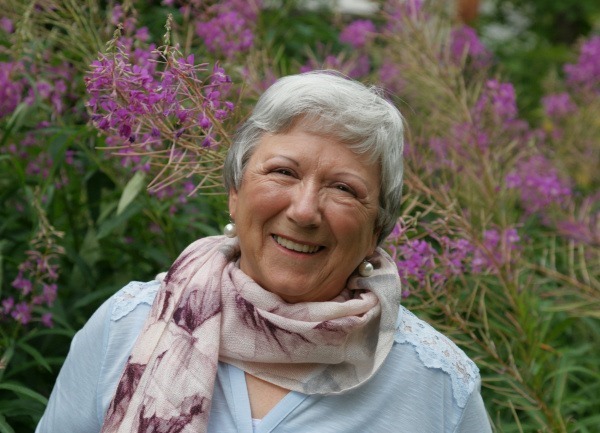 This month Robin has asked: Why do you write or feel compelled to write even through the difficult parts? Well, even before I really knew what I was doing, I wrote. Yes, I’ve joked in the past about my writing with crayons on the wall not being appreciated by my family (for obvious reasons). But making my mark by writing something, somewhere has, for me, always been a tangible expression, like handprints on the wall of a prehistoric cave, of my being here, on this planet, now. The now has shifted considerably over the years from childish drawings and weirdly shaped letters, to short stories about ponies and dogs, to prize-winning essays at school and onwards and upwards. Writing, as an art, was something I took up when I learned calligraphy. It came out of an art class where we were encouraged to illuminate the capital letter of our first name. I chose V for Victoria, not H for Hammond as I was then. 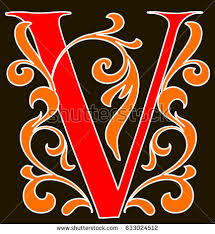 I liked the look of the letter V, and very early on picked as favorite words victory and valor. They seemed strong words to me then as they do now. Combining the art of writing with the craft of it was something that I came to a lot later. Although I loved English classes, both literature and grammar, writing in my family was a serious business. It had to impart knowledge and instruction and, consequently, fiction and fun writing didn’t enter much into my education. However, at age thirteen I read a book whose title now escapes me although I can see the cover clearly. Anyone who remembers Douglas Fairbanks, or maybe Douglas Fairbanks jnr., would recognize the look of the handsome pirate wearing a bandanna, an open neck shirt and swinging from a rope on some ship or another. If you’ll pardon the nautical pun, it opened up a whole new horizon for me. I wrote short stories mostly for my own benefit, sometimes showing them to friends who said I should write more. One I showed to a children's book editor who encouraged me to submit to The Argosy, a now defunct UK short story magazine. It was rejected, as were others to several different magazines, but that didn't bother me because there was always something else to write. So, what does keep me going when the words won’t come, or won’t come in the way or order that I want them to? I stop writing. I return to my favorite books, the ones that have left vivid impressions that can have me sobbing my socks off or laughing out loud. My most likely go-to read is Georgette Heyer’s Frederica. I know that when I’m done reading it, I’ll have more energy and enthusiasm to give to my own writing and, when I do go back to it, everything seems to flow again. Check with these fine authors to see how they cope with the subject. Interesting take, Victoria, to combine writing about writing with calligraphy. And I can just see you as a little cave-girl producing artwork for your parents! For a while calligraphy was a nice little earner as I wrote place settings for a local (classy) hotel that specialized in weddings and banquets. I haven't done anything like that for years. And I have to say I love finger painting - I never minded my kids getting messy with it either. I really liked the elegance and introspection that came with creating illuminated letters. It was sort of a meditation for me. I do hope you finish your story on illuminated manuscripts, Marie, it sounds fascinating and if you've already done the research... Just sayin. I do find that when I'm stumped, reading helps me move forward. Perhaps that's what I need to do now. Of course, I'm in that hard section of almost to the end of the story. Perhaps that's the real problem. I love how you found your voice for fiction writing and didn't let your family's idea of what writing should be stop you from telling your stories.